All the evidence suggests that instead, his real motive for deciding to lead the Leave campaign was that – win or lose – this would make him the likely successor to David Cameron as premier. One is therefore forced to conclude that the new Conservative government, containing many of the Leave leaders, simply decided to ignore the pledge once they were in power. This behaviour also raises doubts over the new Leave pledge to reduce EU immigration. 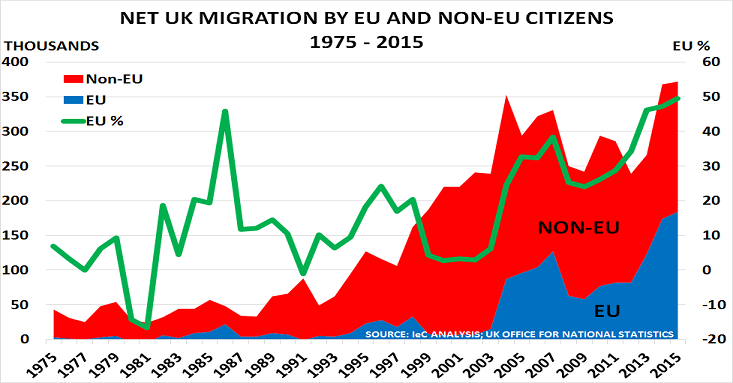 It is hard to see how anything will be changed by basing EU migration on the “points-based system” used for non-EU migrants, as this has failed to have a major impact on their overall numbers. Equally important is the fact that the UK has had no direct experience of negotiating trade deals for the past 43 years. 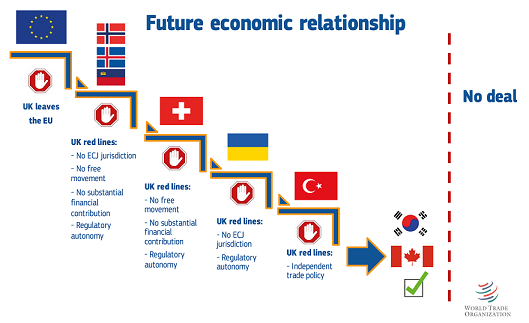 These have all been done via the EU, with the backing of other major G7 nations such as France, Germany and Italy. Almost inevitably, therefore, this lack of experience would lead to us being out-negotiated – particularly as we could find ourselves having to finalise 80 deals in just 2 years, to replace current EU arrangements. If one focuses on the facts, rather than on the assertions, it therefore seems clear that a Brexit vote would mean taking a complete leap in the dark. Nobody can know where we would end up, or the damage that would be caused. Most importantly, as I noted last month, it would put at risk the ”peace and prosperity” that my generation have enjoyed since the EU was founded. This is why it will be the most critical vote that many of us will ever cast. I will be voting to Remain, and I hope that my country does too. German Chancellor Merkel’s recent comment that “I don’t see anything which signals a recession in Germany” is just one sign of the current complacency about the global economy within the Western political elite. The risk is, of course, that 2 years of implementing the wrong policies have left them dangerously short of time, and money. With actual US GDP growth just 0.33% ($40bn) in H1, there is surely a strong risk that the US is now entering a new recession. Europe cannot be in much better shape, despite the politicians’ denials, given Q2 data. S&P 500 Index (pink dot), down 14%. Naphtha Europe (brown dash), down 13%. “Most sources still believe an oversupply threatens in September “. Brent crude oil, down 12%. HDPE USA export (purple), down 13%. “Latin America has now turned its attention to Asian offers”. PTA China (red), down 5%. “Expected to be underpinned by rising PX prices caused by limited supply”.